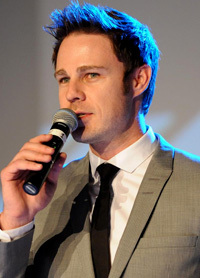 Jason Greer is an accomplished MC, TV presenter, actor and voice artist, well respected in his industry. His strong, vibrant presence and reputable voice have kept him busy over the past decade. Jason Greer currently co-hosts the eNCA show Tech Report (DSTV channel 403) and has presented a number of other successful shows, including Top Travel and the award-winning All Access. He has appeared in numerous TV commercials and corporate videos, and his voice is a regular across the SABC channels. His notable resume of clients has allowed Jason to acquire great experience, which he brings to every event, delivering perfectly every time, be it casual or corporate. If you looking for more Corporate Entertainment we can provide you with South Africa`s BEST Hire a Comedian - Master of Ceremonies - Live Bands - Dance Acts - Hire a Magician We have the very BEST in Live Entertainment for your function or event. Enquire about our Team Building activities. We provide fun out the box activities such as the Sleight of Hand Magic Team Build, Dance and Comedy Team Building. So come and join us for a fun filled day of learning and discovery. Looking for more Corporate Entertainment. We have South Africa`s TOP Artists. Hire a Comedian, Master of Ceremonies, Live Bands, Dance Acts, you can even Hire a Magician We have the very BEST in Live Entertainment for your function or event.our function or event.